We are mad, but mad is fun sometimes (when you look back). 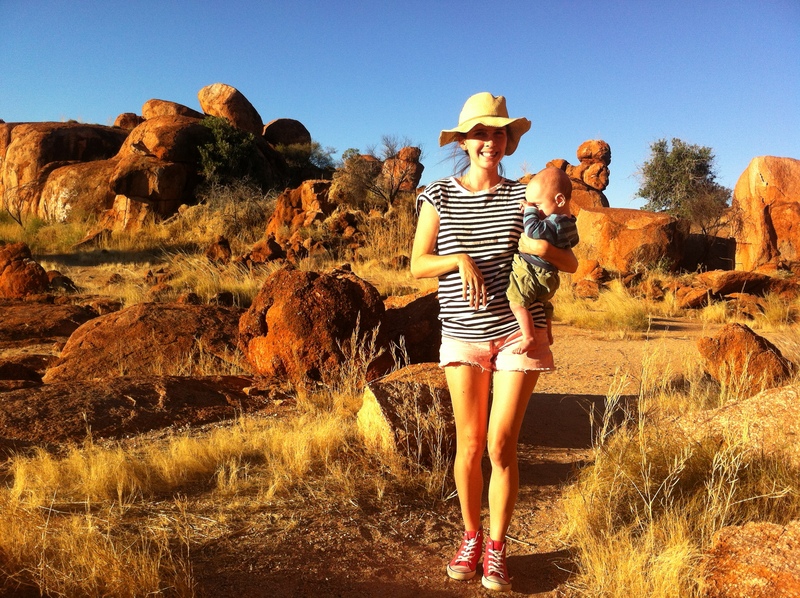 In 2014 we and another family took our six children on an epic and memorable trip from Townsville to Uluru. I’d done it with my family and another when I was 13 and it was the BEST THING EVER! And I’m saying this even after being on multiple overseas holidays. On some parts of trip I was like “What were we thinking? !” it was hard work, and so was our Europe trip with a child, I guess that’s holidays with kids! But its worth it every time! At the time we left Joseph was 6mths, Beau was 2 and Jacob was 4. The other family had 3 children of similar ages. I prepared for weeks in advance, working out distances from town to town, best places to camp, what to miss and not to miss, what to pack, what to eat, how the sleeping arrangements would work, what to wear in possibly sub zero temperatures when camping etc etc. Yes it gets really cold in winter in the middle of Australia, its cold enough to snow, and it would if it wasn’t so dry out there. When your camping there is no indoors, no heater and sometimes your not allowed a fire! Keeping my family warm was one of my major concerns. So we packed heaps of layers, you need winter stuff AND summer stuff, cause through the day it can get quite warm, especially when your walking. I pre made damper mixes in zip lock bags with directions written on front, I also did this with chocolate pudding. 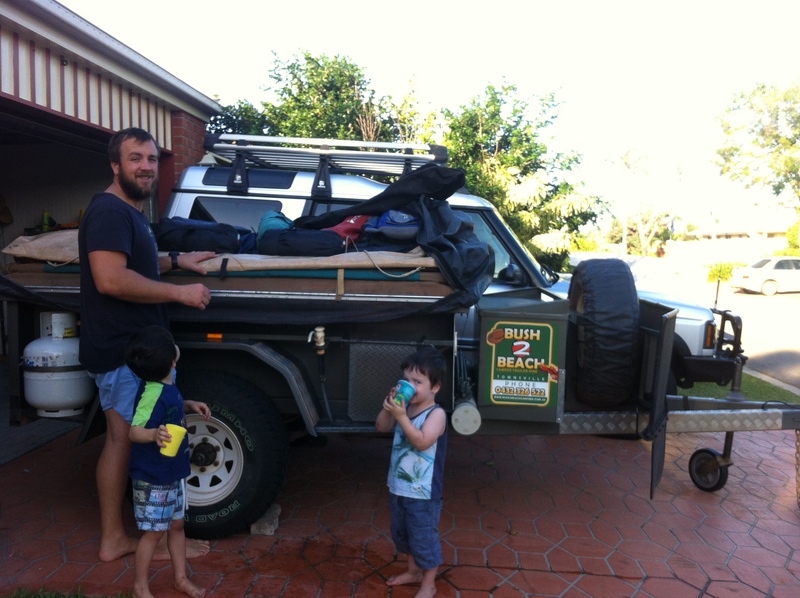 We hired a camper trailer at that time (we now have our own one) and packed it the night before. Anyway we were eventually ready to go! First day we drove to Richmond which took about 6hrs, the drive there was okay, but I find in central Queensland there can be a whole lot of flat land and brown grass! You get excited when you see the fluoro green grass at the Lions/Rotary club parks in the small towns haha here you usually see lots of gala’s or other birdlife… they too get excited about green grass and water! Richmond has a nice little caravan park, very green, lovely for tents and camper trailers cause you get to camp on the beautiful grass (you know, green grass is exciting out there). You also get a great view over the man made lake, which I think really does a lot for the town. You can take a walk around it, there is a little water park for the kids and BBQ areas. You can stop in this town for a few days and be very happy but we only stayed one night this time (I’ll tell you about our 2nd trip here in 2015 in another story). 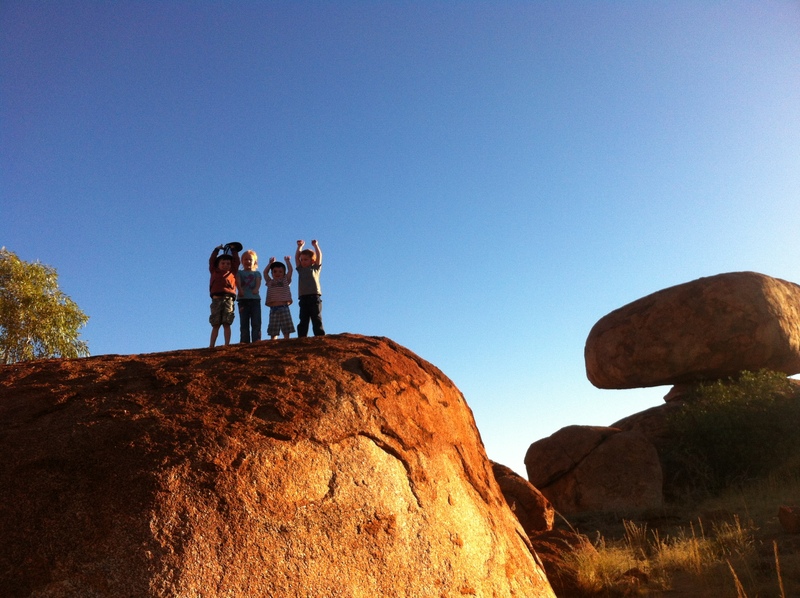 Next day we drove through Julia Creek, Mt Isa and finished at Camooweal Caves National Park. I found the area before Mt Isa quite interesting, a bit Wild West looking, with all the hills, and red rock formations, I love watching the landscape change as you drive by. Now you actually can’t camp in Camooweal Caves National Park anymore but you could then, it is a bit confusing actually to find, many people have had the same problem. Its not well signed and its confusing cause you see signs for Nowranie Caves on the same road and we still cant work out whats what or if its the same place haha. 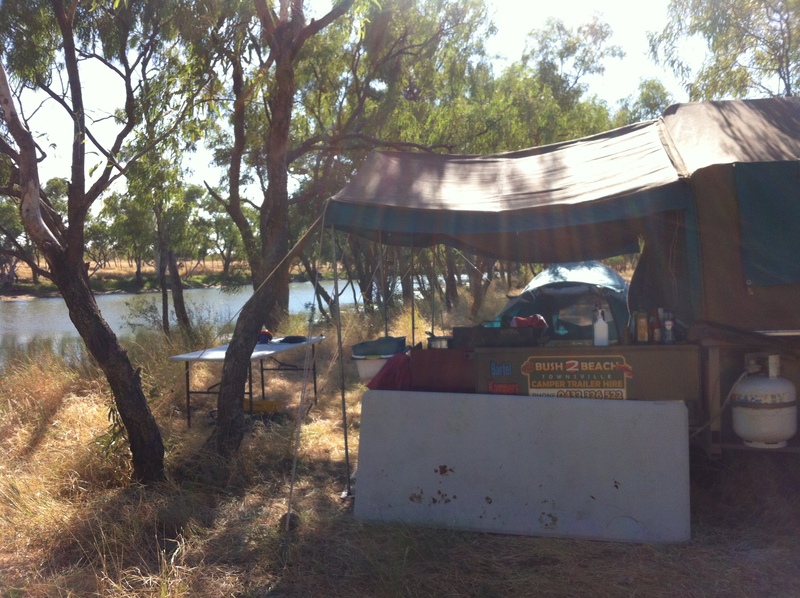 Anyway we found the campground near the billabong in the park, its only a short walk from the campground to the caves. We stayed two nights here and its was the first place we started to feel the cold in! Yay! And we had our first fire for the trip here too. Kids got seriously feral all day and I re shuffled sleeping arrangements in the camper trailer to hopefully get a better night sleep as Joseph had kindly cried from 4am in Richmond the night before. He is not used to sharing sleeping quarters with anyone. I was a bit tired and stressed at this point, thinking I didn’t go on holiday to be sleep deprived! I had Joseph sleeping through since he was 3.5 months old so I wasn’t happy to be woken up at 6mths on my holiday! At times this trip our friends heard us at night and we heard them, we often tried to set up our trailers as far away from each other as possible but sometimes we were right next to each other, especially in caravan parks. I had earplugs 😉 I’d say they are a camping essential! The caves were big sinkholes in the ground, you cant go into them unless your an experienced caver, would be cool and scary to sink down into one and explore the dark world under the sunlit one. 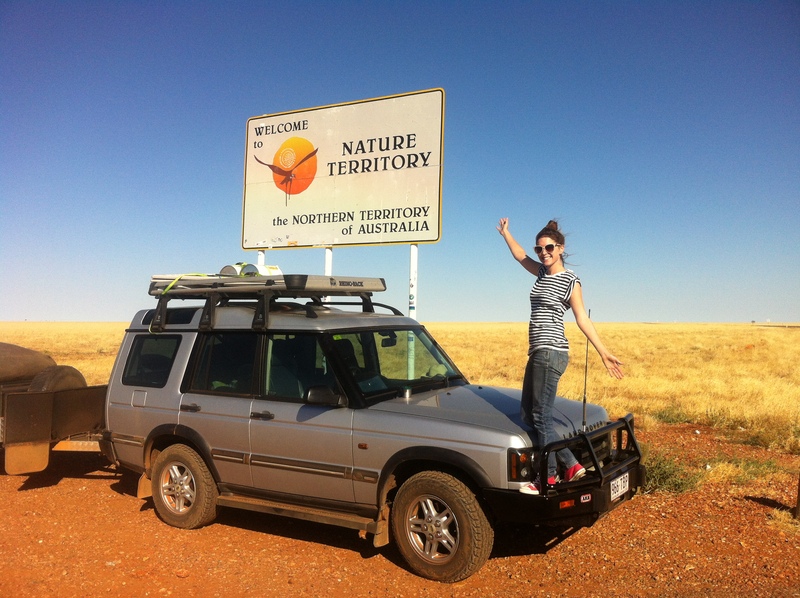 Next we had a BIG day of driving, we crossed the border into the Northern Territory, always fun doing that! NT = Adventure! On this drive we stopped at the Barkly Homestead for lunch, actually alright food here, had a good greek salad, which I did not expect in this part of Australia! Saw a helicopter herding cattle as we drove by, that was pretty cool. We originally thought to stop at Tennant Creek, but once we got there… ummm no. Sorry Tennant Creek you are not a great camping destination, so we decided that we would push on for another hour or so and camp somewhere beautiful, Devils Marbles. We really felt we were in the middle of Australia now, the dirt was red, the trees were shrubby and low, spinifex everywhere, love spinifex even if it spikes you! Tips for fellow campers would be show up earlier in day at Devils Marbles cause its packed by the late afternoon, as it was when we arrived, thankfully we found a spot. The Marbles were beautiful and there are so many of them, glowing in the gorgeous sunset, fantastic photo opportunities here! So many Flies here!!!! And boy did we feel the temps drop again as the sun disappeared, and no fires allowed either. I was grateful though cause the flies vanished as the light went and it got colder. I was beginning to think buying some fly nets for our hats would of been a good idea and was worried that the flies would be bad for the entire trip, but they weren’t, only in random spots. I researched that flies actually go away when the temp drops below 12 degrees? which sound about right. Poor Joseph had a terrible time when they were out though, he was too little to swipe them away so they always landed on his face! Lots of lovely red dirt getting on everything at this point! Joseph got sorted with sleep and we didn’t get woken up again for the rest of the trip. We ditched buying bread as we quickly found out that within 2mins of it coming out of the bag it dried out, yuk. So we were wraps ALL the way the entire trip. We lived on those things, made wraps on the go as we drove, always had a thermos with tea in it and a packet of biscuits, essentials for adults while driving with kids! Really the driving was the easy part, it was the setting up and packing up that was the hardest especially with young children and the dirt on everything! Read PART TWO for the rest of our adventure! 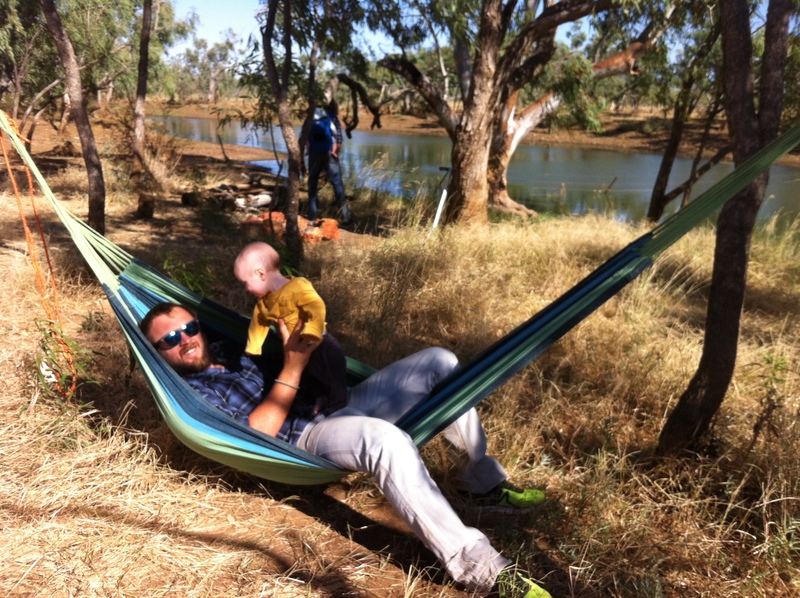 Dingoes, cold temps, hiking, Alice Springs, Finke Gorge, Kings Canyon and ULURU!